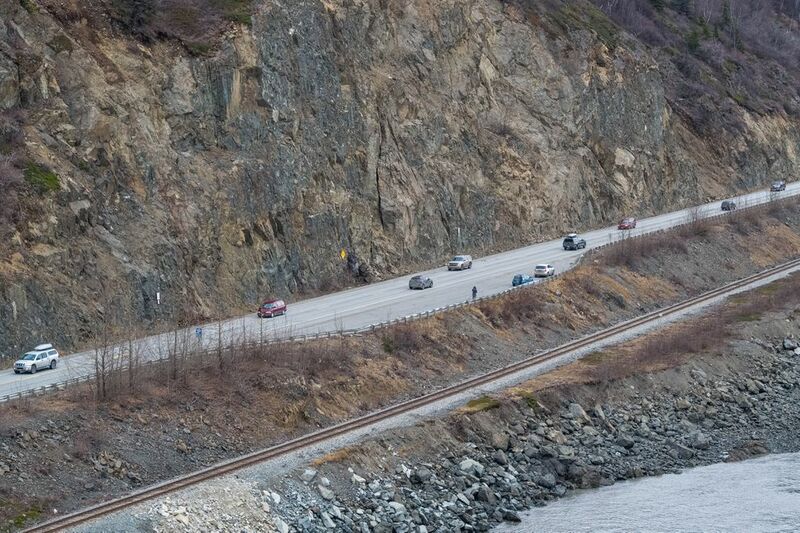 The state is closing a popular water drainage pipe at Mile 109 of the Seward Highway, where people regularly pull over to fill bottles and jugs. In an emailed statement Wednesday, the Alaska Department of Transportation and Public Facilities cited safety concerns. 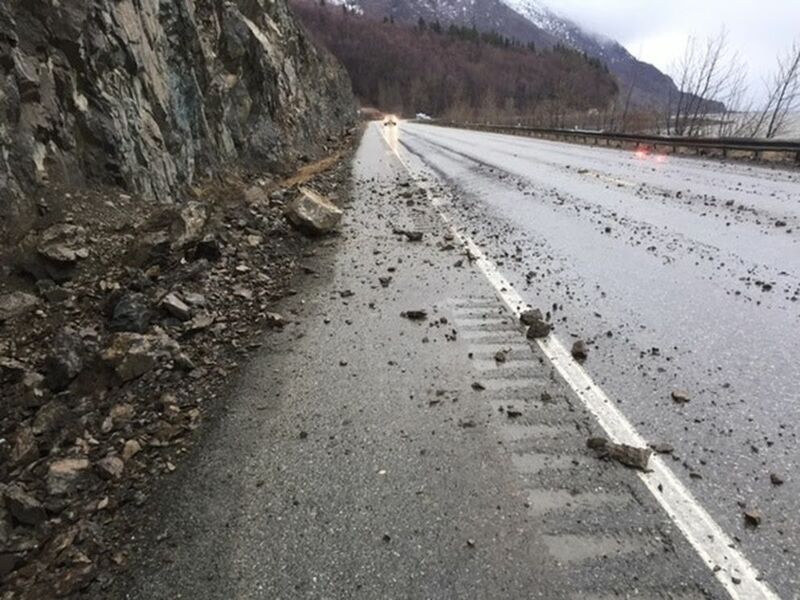 “The site is in a high-risk rock fall area, is among the top 10 highway risk sites in Alaska, and has experienced multiple rock falls since the Nov. 30 earthquake,” the agency said. The work started Wednesday and is expected to be done by the end of the day, said DOT spokeswoman Shannon McCarthy. The water pipe has become more popular in recent years, according to DOT. People regularly pull over on the cliff side of the highway to collect water, or stop at the pullout on the other side and scurry across the road. Over the last four days, there have been at least eight rock slides there, McCarthy said. 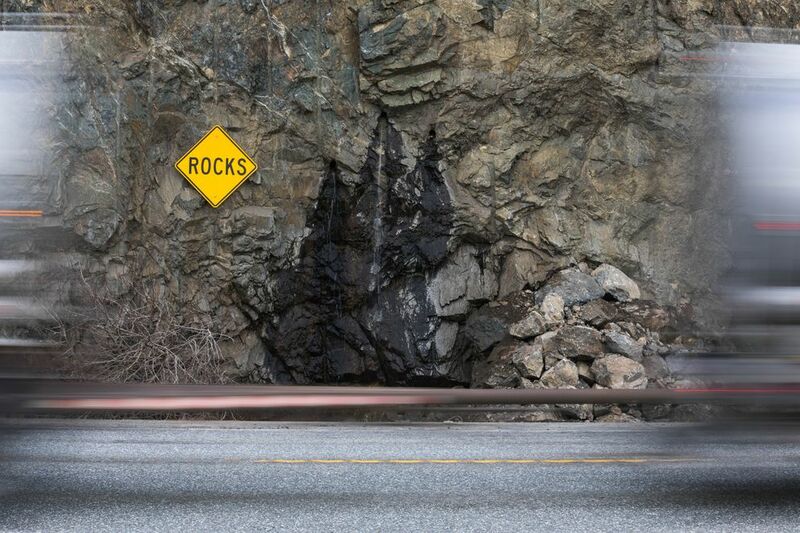 DOT personnel documented a new rock fall as recently as Tuesday. The agency had already identified the water pipe site as high-risk prior to the Nov. 30 earthquake. But active rockfall since the quake heightened concerns. “It was the final push to close it,” McCarthy said. “Because you’ve got the rock risk, then you also have pedestrians crossing high-speed traffic." There was a crash at Mile 109 involving multiple cars in 2017, and the transportation department has received “lots of reports of near misses,” McCarthy said. DOT on Wednesday was modifying the rock and shoulder at Mile 109 to remove access to the drainage site and restrict vehicles from illegally parking on the cliff side of the road. The work involves connecting the main water coming out of the rock with a culvert at the site, and then covering it with rock, McCarthy said. The agency is also considering “long-term engineering solutions” for the area, the statement said. That might include “moving the cliff away from the highway." The water at the drainage site comes from one of several holes DOT drilled in the 1980s to alleviate water pressure and stabilize the rock face, the agency said. Since then, people have placed a variety of pipes there to collect water. In December, DOT warned people not to stop at the Mile 109 water pipe. In the days following the earthquake, the site was barricaded. McCarthy thinks people’s reactions to the closure will be a mixed bag.